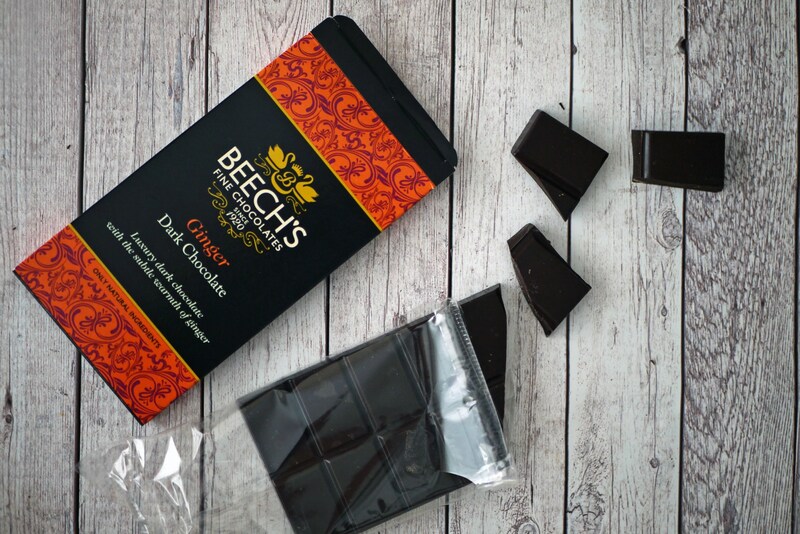 Beech’s have a wide variety of chocolates on their website, with all of them being gluten-free and most of their dark chocolate range, vegan-friendly. There are no artificial colours or flavours but there is a lot to choose from! My favourite type of chocolate is dark chocolate and I really love the warming notes that ginger provides to any food or drink. Beech’s Dark Chocolat Ginger bar has the warmth of ginger spread throughout the bar which is beautifully offset by the bitterness of the dark chocolate. It’s nice, but I personally like more warmth from my ginger chocolate. If you prefer a subtle taste, this is for you. 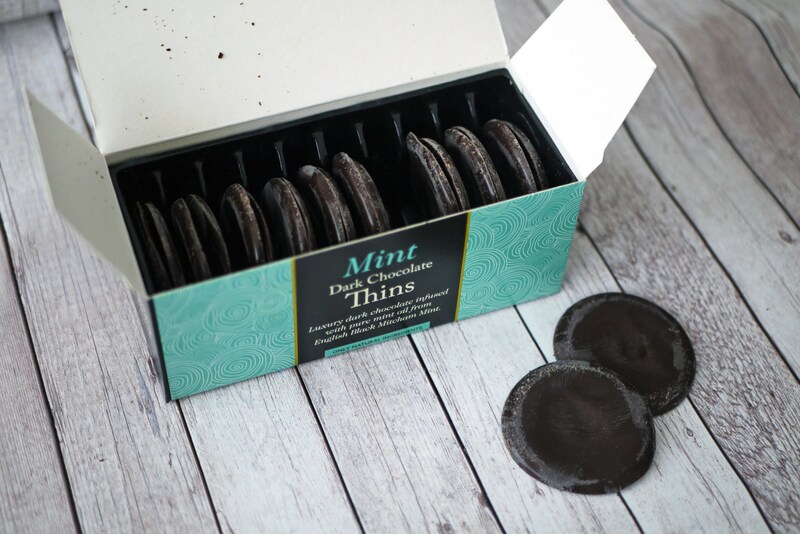 Excuse the look of these mint thins, I don’t think they quite survived the transportation process! The chocolate on these is really crisp with a good crack when you bite into them. The mint flavour is throughout the chocolate, there is no cream although if you wanted mint creams, Beech’s certainly offering that as well! I can easily consume two or three of these, perfect to freshen your breath after a meal. There are 20 in a box. As much as a like a boozy chocolate from time to time, sometimes you can get ones which are really boozy. 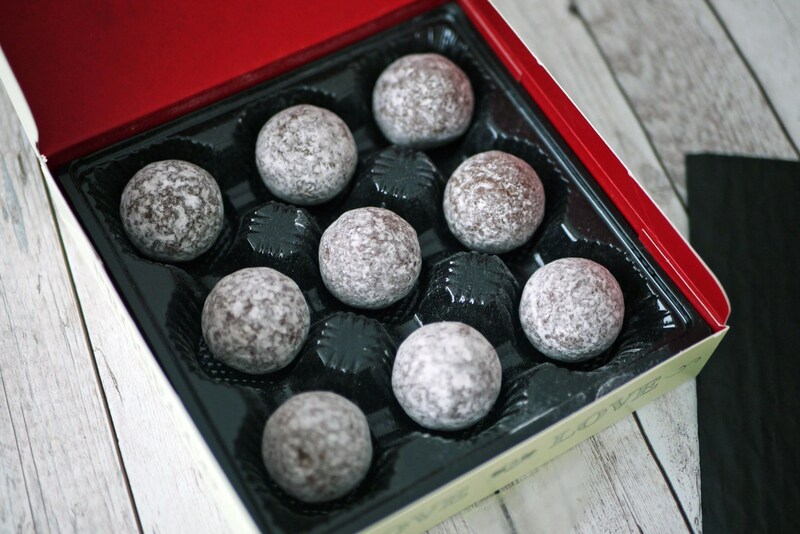 These prosecco truffles have just the right amount of booze in the truffle, complemented by milk chocolate and a dusting of icing sugar. One is more than enough, but I don’t blame you if you grab another. Beech’s Fine Chocolates are certainly fine. They do a wide range of different types of chocolates for all occasions and there’s free delivery if you spend over £20. They care about the environment and make sure they support sustainable farmers and that all their packaging suppliers are 100% FSC certified. I think these will make a good gift! Support local! *I was sent these products by Beech’s and did not have to pay for them. All opinions my own.